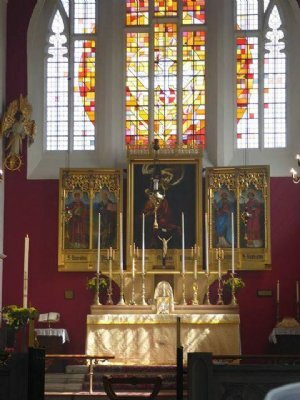 Welcome to the St Matthew's Willesden Website. St Matthew's is in the diocese of London, in the Church of England. We are a lively, busy church with a confident, exuberant faith. We are thoroughly evangelical in our outreach and preaching and thoroughly catholic in our sacramental practice. Orthodox in our faith, we offer our thanks to God when we succeed and when we fail. We are a happy, praising community. Come and join us! The main Sunday Mass is at 11 am. We offer a warm welcome to every person, traditional ceremonial, challenging preaching and a commitment to growth together in the body of Christ. We take safeguarding very seriously, please see the link on the left hand side of this page where there is all the contact information you need. We want you to be safe in this church and we want you to be assured that we will support you in every way possible.